What was it like to live in Iowa during the Ice Age? Find out in Mahaska Mammoth: Woolly Dreams! This fictional story enhanced with facts will inspire readers of all ages to learn more about the woolly mammoth, an amazing Ice Age giant! As a young boy falls asleep, he dreams about Woolly, a little mammoth with big dreams who becomes friends with Murphy the stag moose. Together, Woolly and Murphy go on an adventure and face the dangers of living in the Ice Age. Woolly Dreams is written by Laura DeCook, Mary Jane Sullivan, and Linda Fox and illustrated by Karen Phelps. 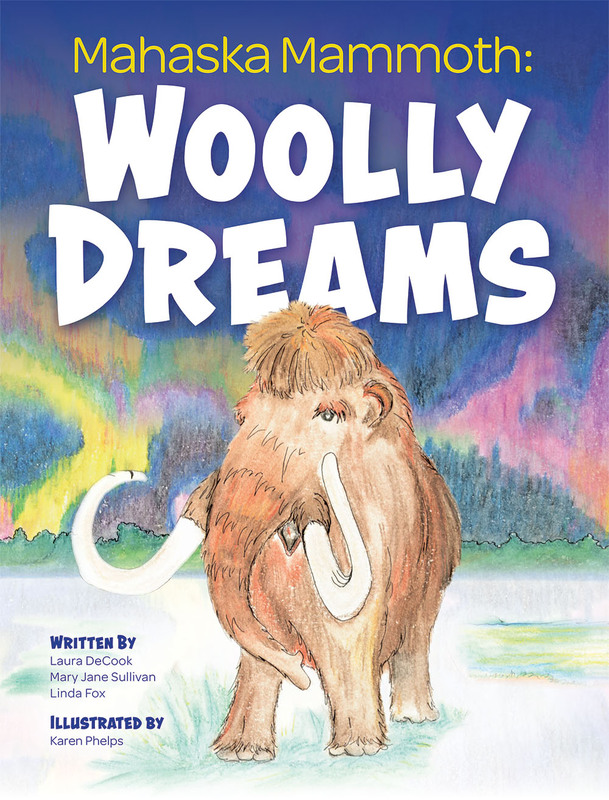 The authors were inspired to write Woolly’s story after mammoth bones were discovered in Mahaska County, Iowa, in 2010. This discovery helped researchers learn about the size and habits of woolly mammoths and revealed what the landscape and ecosystem of Iowa were like 10,000 years ago.